So, Melissa, if life is so crazy why not just order some BBQ, grab some brewskies, throw a plaid tablecloth on the table and call it a day? I’m sorry…did you forget who you’re talking to? I’ll admit, I let my parents order BBQ because they said they would be getting extra okra (fried okra is my secret love affair. My husband knows…he’s ok with it). 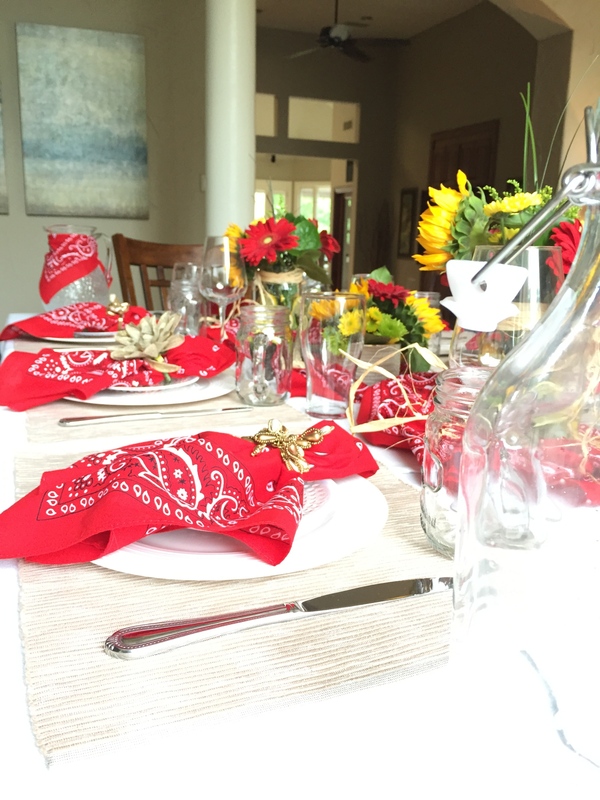 So, that just left the best part up to me – the tablescape. Y’all – SO EASY! I literally put this together in a matter of about 15 mins and it was so fun to do. I started with a simple white tablecloth and added some tan placemats I snagged from Tuesday Morning a long time ago for a steal. 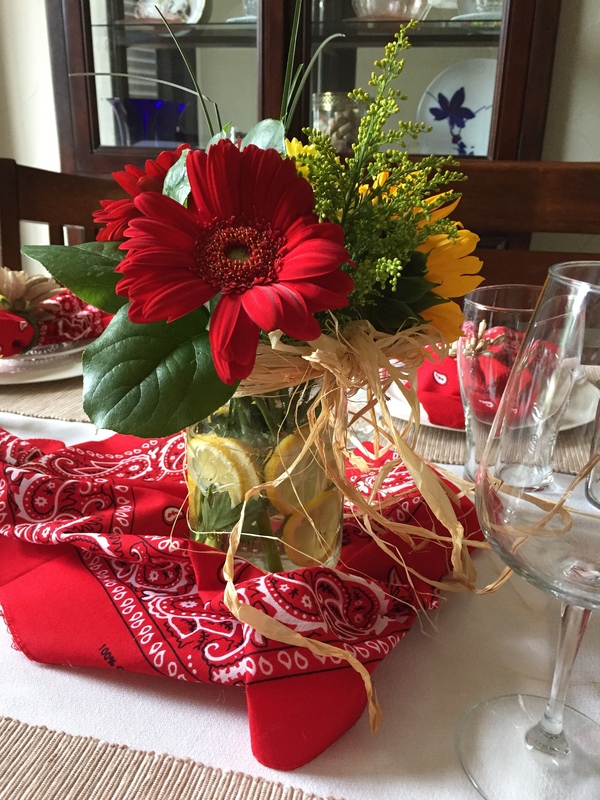 My mom had some red bandanas that we used as napkins (I also threw a couple down the middle of the table as a runner). I then used my gorgeous gold napkin rings you see below. Napkin rings are such an easy way to make an impact on any place setting. I suggest keeping an eye out for impactful napkin rings in neutral colors, gold and silver included, when they’re on sale. I bought these from Pier 1 for this past Christmas. I alternated between a large flower and more simple dangly ones so as to not be overwhelming and it added some variation to the table. Don’t have any good napkin rings on hand? 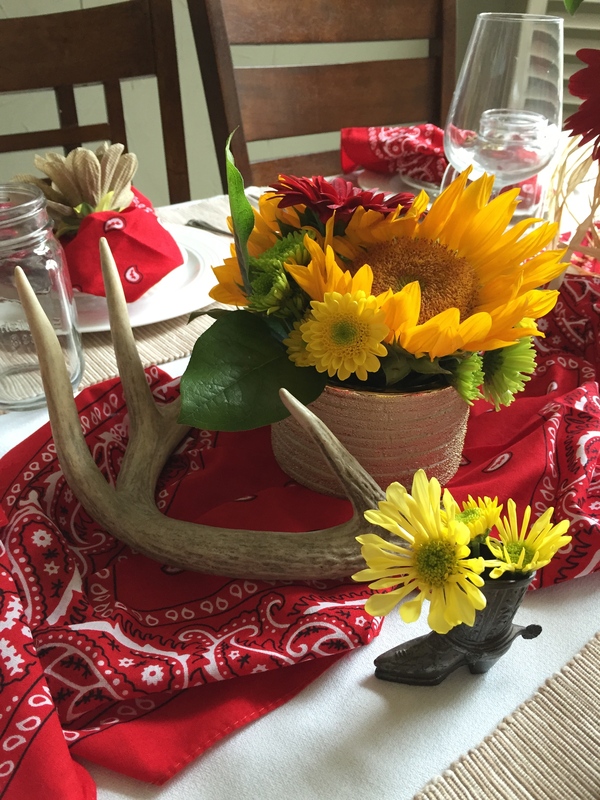 Try using some burlap or extra cooking twine to make a fun southern style bow. Or, check out these super cute and easy DIY napkin rings by my friend over at Pretties for Pennies. These napkins lay on my white bone china (which we actually use as our every day plates). I highly suggest having a full set of nice white plates because they are so versatile. You can go simple and chic or dress them up with fun salad plates. Can’t afford bone china right now? Hit up IKEA – they have a great selection of “just for now” options. 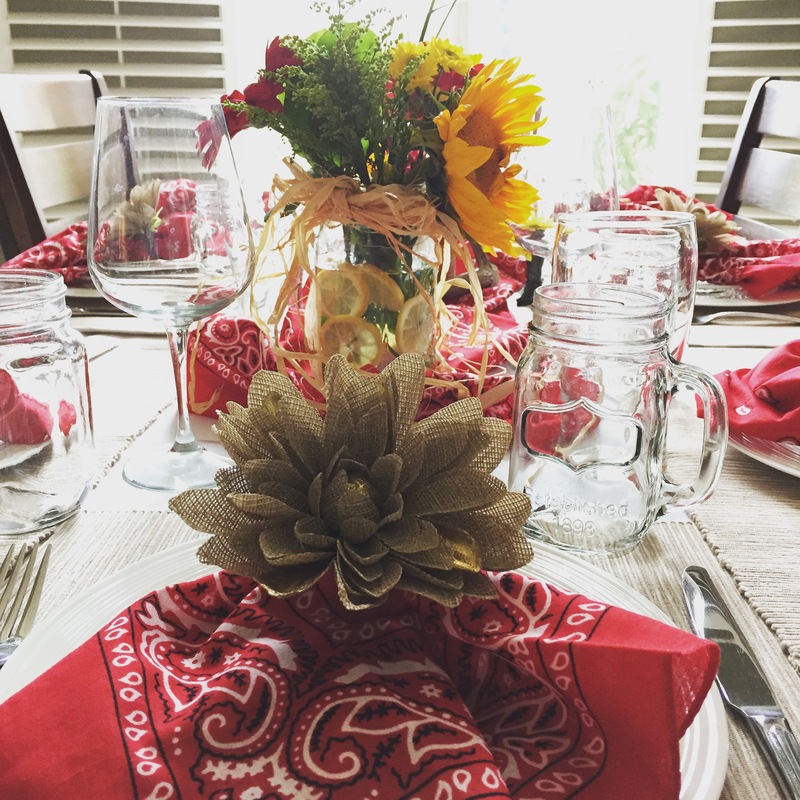 This tablescape also gave me a chance to FINALLY use my mason jar cups we got as wedding gifts. They were so stinking cute. If you don’t have these at your finger tips or want to spend the $ on these you can pick up a 12 pack of mason jars from Target for under $10. And you WILL use these again – I’ll show you how 😉 For the other drink ware, because this was a lunch, I swapped between beer glasses & wine glasses at each place setting. 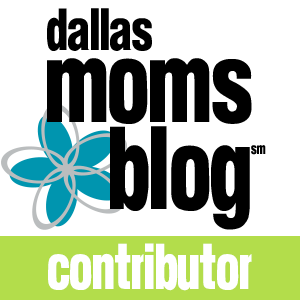 This worked out perfectly and also helped cut down on clutter at the table. A quick trip to Trader Joe’s and I had my fresh flowers – one bunch of sunflowers and two bunches of their $3.99 groupings. I chose one that had some red daisies and green and yellow fillers. To add a little extra something to these mason jar vases, I sliced some lemons and stuck them in after I had put the flowers in (the stems help keep the lemons in place). To break up the mason jar vases, I used my favorite small gold “vase,” I use quotes because it was a candle originally, after it had been used up I scraped the remaining wax out and now use it for all kinds of things. I did this shorter arrangement using flower foam. Never done this before? You’ll get addicted – see how here. So after all this, my mom says, “what should we do for dessert?” Uhhhhh…crumble? Crumbles are oh so easy (just like the tablescape above). 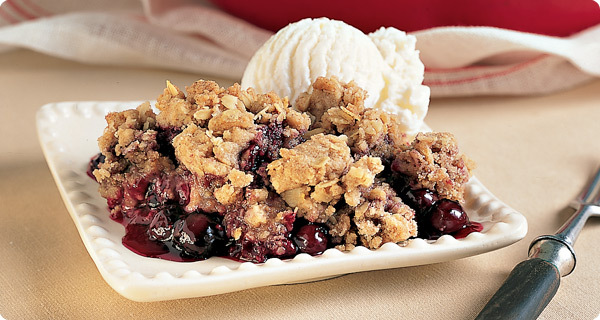 I yanked out one of my favorite crumble recipes and we tweaked it a bit to use berries versus apples. It was delicious! Try it and you won’t be disappointed, PROMISE. Preheat oven to 350 & grease a 9×13 pan (hint: use the wrapper from the butter). In a medium bowl, combine oats, brown sugar, flour, cinnamon, salt, butter & nuts. I like to use my hands personally but use whatever you prefer. In a separate bowl, toss the berries in 1 tbsp flour and cornstarch. Careful to not let them burst. In your 9×13 pan, press a thin layer of the crumble mixture into the bottom of pan. Pour in berries & them sprinkle remaining crumble over top. Berries will still be visible.